Plus: Hope Hicks' learning curve in LA; Howard Schultz mulls White House run. 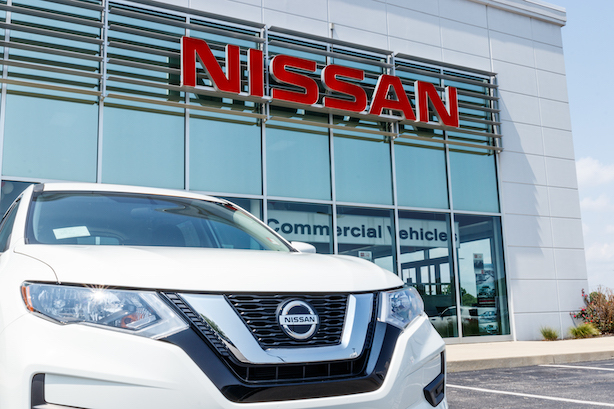 The Securities and Exchange Commission is investigating Nissan over former chairman Carlos Ghosn’s pay disclosures. The automaker told The Wall Street Journal that it is cooperating with the investigation. Ghosn was first arrested for allegations of financial misconduct in November. Former Starbucks CEO Howard Schultz is mulling a run for the White House in 2020, a decision that would make him very unpopular with Democrats who fear he would split the anti-Trump vote and hand the president reelection. Schultz has been getting advice from Steve Schmidt, a veteran of John McCain’s 2008 bid and a former top Edelman executive. Hope Hicks’ first few months on the West Coast, including some speed bumps in adjusting from life in Washington, DC, to Los Angeles, are the subject of a feature in the latest issue of Vanity Fair. Hicks joined Fox last fall in its top communications position after serving as the youngest White House communications director in history. Meanwhile, her former boss told the WSJ that he doubts Congress will come up with a border compromise to his liking, raising the specter of shutdown part deux in less than three weeks. There’s bad post-shutdown news for the president in an NBC News/Wall Street Journal poll released this weekend, showing more than six in 10 Americans believe the country is on the wrong track. Could "Black Panther" score an upset Best Picture win at next month’s Academy Awards? The film won the top prize at last night’s Screen Actors Guild Awards, which are considered a leading predictor of statuette winners at the Oscars. "Black Panther" beat out films including "Bohemian Rhapsody" and "Crazy Rich Asians" for the top SAG award.